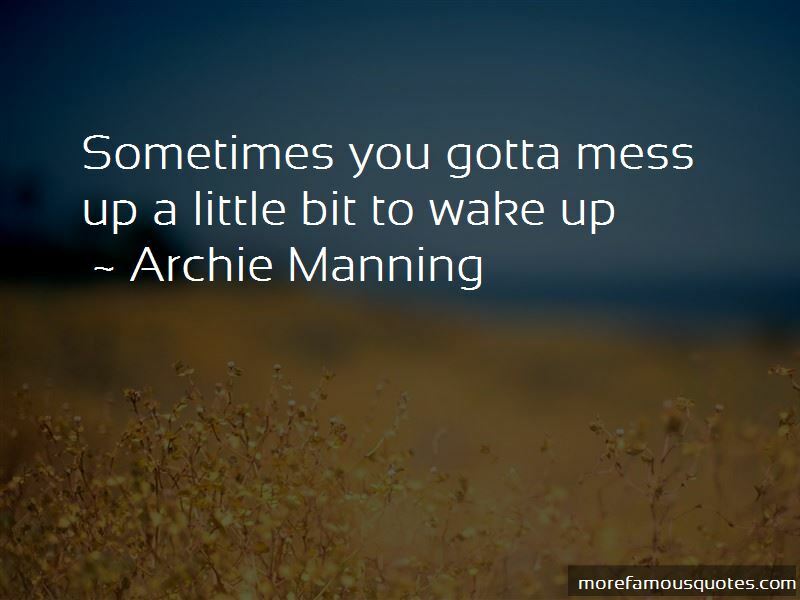 Enjoy the top 7 famous quotes, sayings and quotations by Archie Manning. The Saints are doing a good job adjusting. I think their focus is on trying to make the best of their season, but also to try and help the people of New Orleans in the process. From everything I've seen and heard they are doing a good job of it. New Orleans is just a doggone fun place to be. 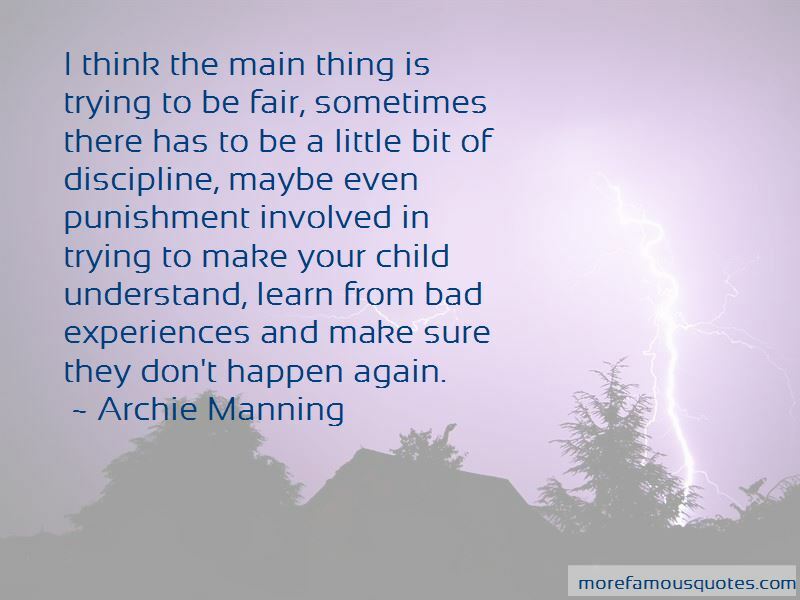 Want to see more pictures of Archie Manning quotes? 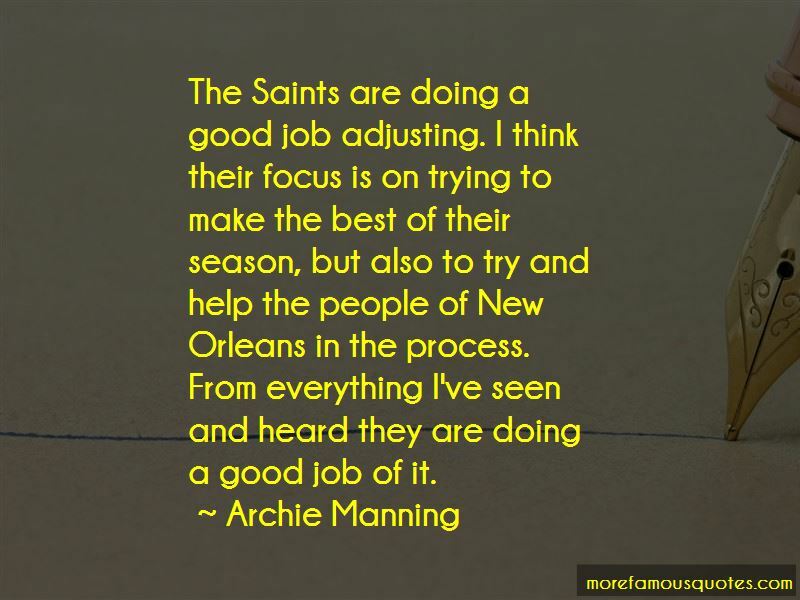 Click on image of Archie Manning quotes to view full size.